A guest post by Craig Griffiths. You spend hours researching, writing, revising, and posting a blog to keep readers interested, only to get frustrated because they do nothing more than skim over it for a minute or two. Every blogger may have visions dancing through their heads of readers pouring over each written word. Unfortunately the reality is most readers merely glance over blog content, searching for keywords and phrases that are of interest to them. How then can a dedicated blogger be certain their content will actually be read rather than just quickly perused and passed by? Many times bloggers will start out strong and on point in their blog post, focusing on the topic at hand. The next thing you realise the content has completely veered onto something altogether different and irrelevant. This is one of the fastest ways to lose readers, especially if this happens repeatedly. 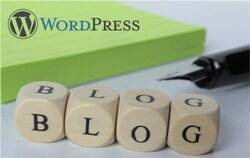 People come to your blog for information or to read about a specific subject. They do not want to waste time dredging through what amounts to nothing more than filler content and fluff. Keep your writing tight, focused and on point if you want to keep readers interested. 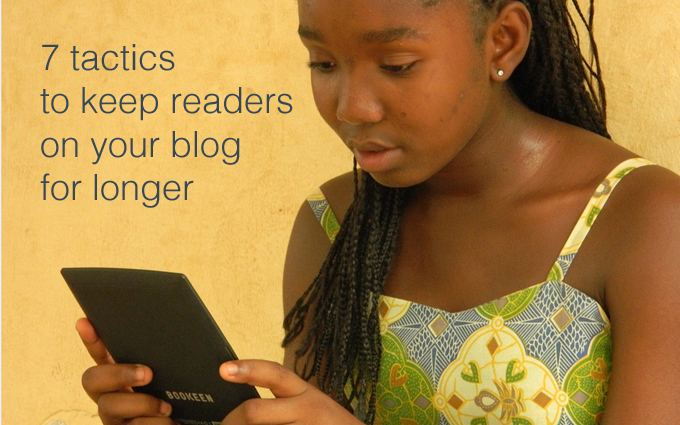 Engage your readers by asking questions throughout your blog. Even if the questions are rhetorical, they will draw your readers in, engage them in the discussion and get them thinking. This will also help the reader to remember your blog content later, to recall its message to share with others or to put into action themselves. These are the things that keep readers and make a good blog, which in turn generates return readers. DigitalMarketer ask questions – a lot. 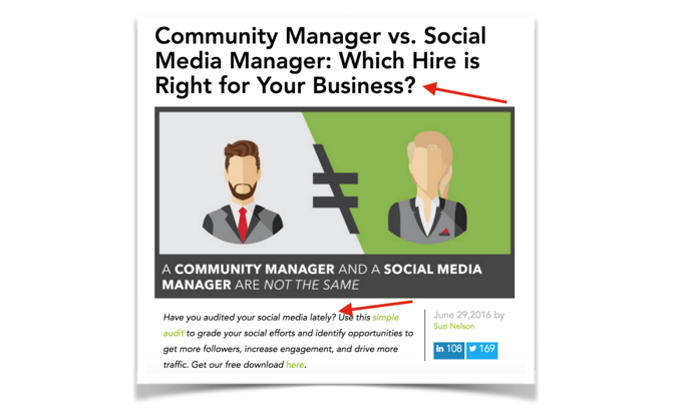 They ask them in titles, the content of blog posts, at the end of blog posts and all over social media in their posts and ads. I consider Ryan Deiss (founder of DigitalMarketer) to be one of the best digital marketers on the planet. If he’s using questions everywhere, why aren’t you? Frequently readers will submit questions or comments on your blog. If you want to be taken seriously as a blogger and keep readers coming back to read your future posts, let them know that you appreciate their time and attention. If they ask a question, give them a prompt and accurate answer. Even if it means doing a bit of additional research on your part. Remember that they are coming to you for information because they have taken an interest in your blog and see you as an expert in your area. Show your appreciation by answering any questions they may have to the best of your ability. If they leave a comment paying you a compliment, graciously acknowledge it. The more engaging you are, the more return readers you will have. Matthew Karsten from the Expert Vagabond travel blog puts this into practice and responds to pretty much all blog comments. 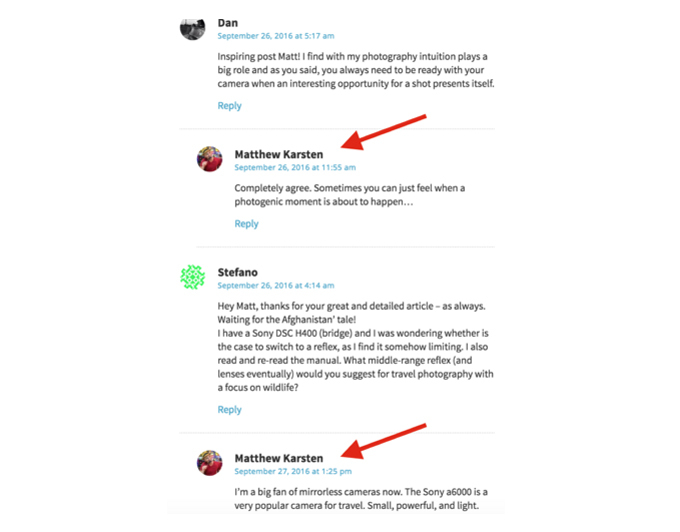 If you browse around the blog you’ll notice that a lot of the same people comment on different posts, showing that they are repeat visitors and stay on his blog. Most bloggers show their recent posts in the sidebar of their blog, but do you know what the best bloggers show in their sidebar? Their most popular posts. 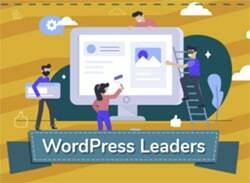 If you use WordPress, it’s incredibly easy to do this using the WordPress Popular Posts plugin. This is an incredibly effective way to increase engagement on your blog and keep readers on there longer. Your top posts are found by calculating how many people visit the page and for how long they stay on there. 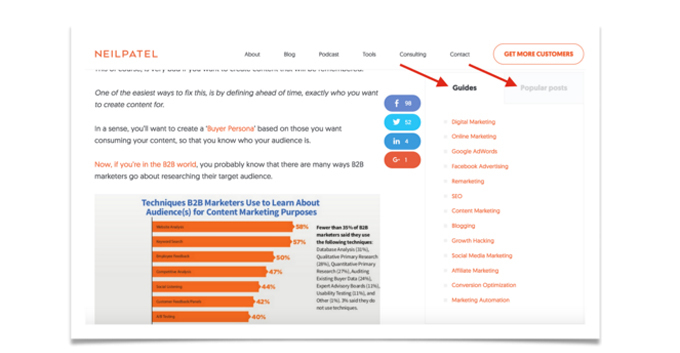 Neil Patel uses this technique to keep readers on his blog across most of his company sites to show off his popular posts and guides. Want to know what I regret most in regards to blogging? Not starting to build an email list sooner. It’s true when they say “the money is in the list”. If someone has subscribed to your newsletter, there’s a big chance that they already trust you as a writer and will click through whenever you send them an email. One thing that’s important to note is that everyone’s building a list now, so you’re probably not the only one your subscribers are subscribed to. This means you need to stay on top of your game, sending out content on a regular basis driving traffic to your posts. This feature is a great way to get people’s attention, though I wouldn’t recommend doing this as a pop-up anymore. Google are soon starting to crack down on intrusive popups on mobile – so if you’re going to continue to use them, make sure they’re disabled for mobile browsers. 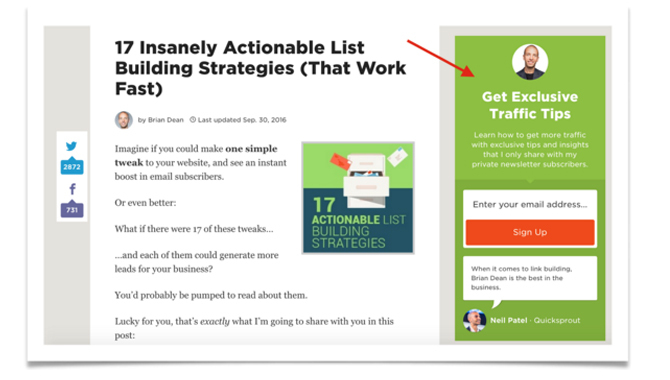 Brian also has a widget at the side of his blog to grab your attention (and your email) if the full-page capture didn’t work! Include links in your blog so that your readers can find more information on the blog topic. This shows that you have actually done research on the subject matter. Your readers will appreciate being able to easily locate reference materials for further information with the click of a button. This is another way to keep readers returning. When people know that your blogs provide accurate and helpful information, your posts will become one of their main sources for go-to facts. It could provide easy access to additional information about a subject they have an interest in. This is another perk that will make them want to share your blog with others. Most bloggers just link to anything they have researched in the sentence, but HubSpot created an excellent guide on how to cite sources online. 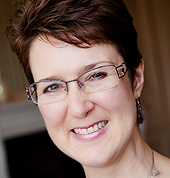 This includes blog posts, social media networks, guest posting, images and much more. Show yourself to be a good member of the online blogging community. Include information about other bloggers who provide helpful information and facts that your readers may find interesting and useful. Not only will your readers be grateful for this additional information, your fellow bloggers will pick up on the idea and return the favour, generating even more views and readers for you. Blogs are popular ways to quickly share information with a large number of people. By providing concise information in an informative, entertaining manner, you will soon build a following for your blog. People will quickly come to know that your posts aren’t just full of filler content simply to take up space. They will be eager to share your links with their friends, which is exactly what you want. Your writing will not go unread or be created in vain. Take the time to apply these tips and tricks and your popularity as a blogger will soar. What are you doing to keep readers on your blog longer? Let me know in the comments below. 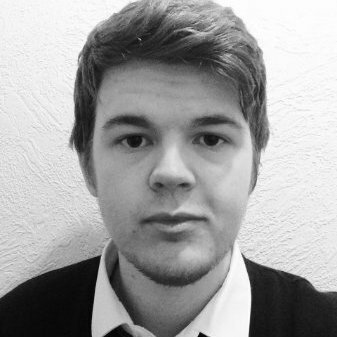 Craig Griffiths is a digital marketing consultant and the founder of SearchUp, a specialist Link Building agency. With just over 9 years experience in search marketing, he has been trusted to deliver campaigns for some of the biggest brands in the world, including the Hilton Hotels & Resorts chain and 888poker. Oh my, thank you so much for your tips! I’ve been struggling with this issue, but hopefully with your tips everything will get better. Thanks! Thank you for your comment Lauren. I’m sure it will get better.